Roland Wood was born in Berkshire and studied at the Royal Northern College of Music with Patrick McGuigan and Robert Alderson, then at the National Opera Studio. He was the winner of the 1998 Webster Booth Prize and the 1999 Frederick Cox Award, and was also awarded Second Prize in the 2000 Kathleen Ferrier Memorial Awards. Roland made his debut for Glyndebourne Festival Opera in 2000 singing a performance of Nick Shadow/Rake’s Progress conducted by Mark Elder. The following year he made his Scottish Opera debut and in 2002 sang for the first time at English National Opera. Between 2002 and 2004 Roland Wood was a Company Principal at Scottish Opera, roles including Dr Falke/Die Fledermaus and Marullo/Rigoletto. In 2003 and 2004 he sang Papageno/Die Zauberflöte. In 2003 Roland was chosen as the English entrant for BBC Singer of the World in Cardiff, where he was a semi-final winner. 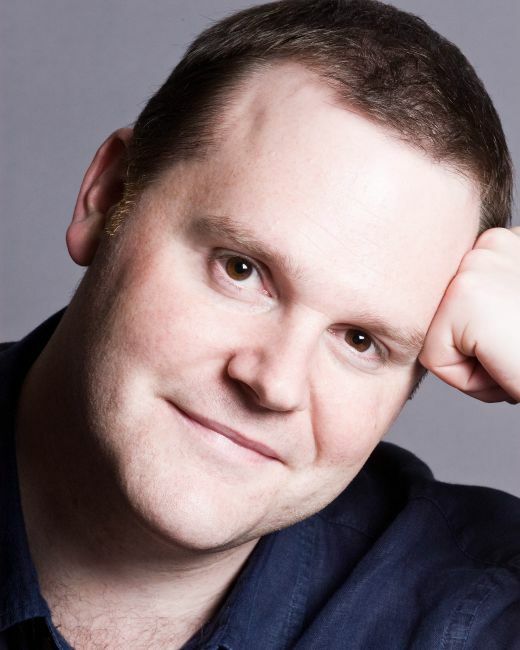 He has now performed regularly with many of the UK’s leading opera companies. For ENO his roles include The Count/The Marriage of Figaro, Paolo/Simon Boccanegra, Kissinger/Nixon in China, Alfio/Cavalleria rusticana, Marcello/La Bohème, Zurga/Pearl Fishers and Papageno/Magic Flute. At Scottish Opera he has sung Robert Storch/Intermezzo and Albert/Werther. For ETO he has taken title roles in both Don Giovanni and Eugene Onegin. He has also performed often with Nationale Reisopera in Holland, with roles including Renato/Un Ballo in maschera, Enrico/Lucia di Lammermoor and Germont Père/La Traviata. In 2012 he sang the title roles of Bunyan and The Pilgrim in an acclaimed new production of Vaughan Williams’s The Pilgrim’s Progress at ENO and in the following year made his US debut at Santa Fe Opera with Germont Père. Roland Wood has recorded extensively for both Chandos Records and Opera Rara and has also featured often on the concert platform, where highlights include Tippett’s Child of Our Time with the Hallé, L’enfance du Christ with the English Chamber Orchestra, Donizetti’s Il Diluvio Universale with the London Philharmonic and Candide at the opening concert of the Edinburgh Festival. In 2014 he made his Canadian debut singing Renato for the Canadian Opera Company then created the leading role of Oedipus in the world premiere production of Julian Anderson’s Thebans for ENO. He made his debut at Opera North singing Germont Père, sang Mahler’s 8th Symphony at the Royal Festival Hall with the Philharmonia under Esa-Pekka Salonen and toured Beethoven’s 9th Symphony in Belgium with the Flanders Symphony. In 2015 he made his debut at the Royal Opera, Covent Garden with the role of Roucher in Andrea Chénier and returned in July for Ford in Falstaff. He also sang Conte de Luna/Il Trovatore and Escamillo/Carmen for Scottish Opera and appeared again with the Hallé singing Mahler Lieder under Sir Mark Elder. Last year he appeared with the Chelsea Opera Group, again as Conte de Luna, at Cadogan Hall and in an opera gala with the Royal Philharmonic Orchestra. He sang his first Macbeth at the Opera Theatre of St Louis, resulting in a number of further invitations to North America and receiving outstanding reviews. This year includes Golaud/Pelléas et Mélisande at Scottish Opera directed by Sir David McVicar, a first Scarpia/Tosca at Grange Park Opera and his debut Rigoletto at Michigan Opera Theatre. Further ahead he returns to COC in 2018, again with Rigoletto, as well as Welsh National Opera, St Louis, Grange Park, ENO and Scottish Opera.